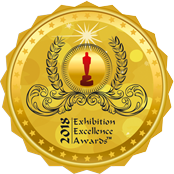 With immense hard work and urge to become successful, Cable & Wire Fair amassed two accolades at the Exhibition Excellence Awards 2018. We feel elated to announce that CWF has been declared a winner in the category of ‘The Fastest Growing Show’ and becomes 1st Runner-Up in the category of ‘Top Global Dominance’. The exhibition is the outcome of cooperation between the exhibitors, visitors, delegates, and everyone associated with the show. It surely reflects the strength of the 'Cable & Wire Fair' and its longstanding way in the years to come. Thanks for the constant support and trust. We assure to go bigger and better with each coming edition.